Brass Turtles with White Lacquer. 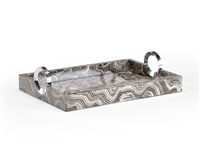 Whether you're after a beautiful tray for serving drinks or a decorative tray for living room use, you'll find those and more in this section of Accessories & Accents. 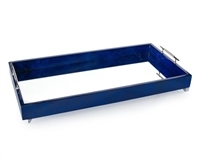 We offer a number of fine rectangular tray models, including both a narrow and a wide blue indigo mirror tray with polished nickel handles and feet, as well as a coral-colored enameled coastal tray with natural selenite stone handles. 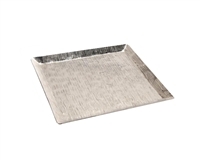 We offer dozens of beautiful ottoman trays of many sizes and styles. 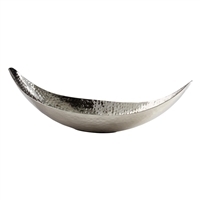 If you need a high-fashion accent tray, you can select a Mother of Pearl Tray, a Black & White Marble Tray or a fantastic Floating Wave Bowl that mimics sea waves in a flowing bowl of translucent cream-colored design. 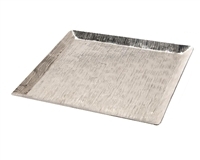 This makes a perfect coffee table tray centerpiece that will attract everyone's attention. 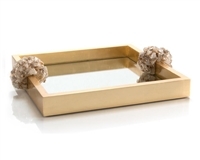 Choose another stunning selection made from white lacquered wood with brass and quartz turtle handles. 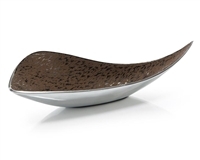 Stop by our Jupiter furniture showroom and meet with our experienced and friendly design team today.